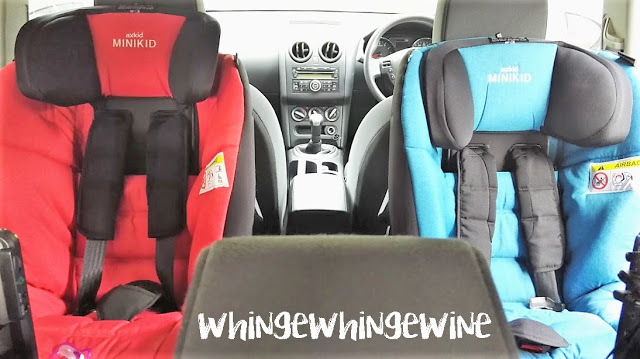 Welcome to my Axkid Minikid car seat review; to see our verdict, scroll to the end! At 14 months, the small one still fits inside his baby car seat. However knowing it wouldn’t last too much longer (these kids do insist on growing, don’t they, the little buggers?) we recently started to look for a new extended rear facing (ERF) car seat for him. (Why rear face? Read THIS). There are so many options now for ERF carseats. When my niece moved into her group 1 car seat almost seven years ago, the choice was extremely limited if you wanted rear facing, which to be fair might be better for people like me that cannot make a single decision on anything. There were one or two available to order online, otherwise you could import one from Sweden, where they are miles ahead of us Brits when it comes to car seat safety. With this in mind, I approached Axkid, a Swedish company whose range of seats available in the UK are all Plus Tested. For the uninitiated that basically means their seats are very safe. 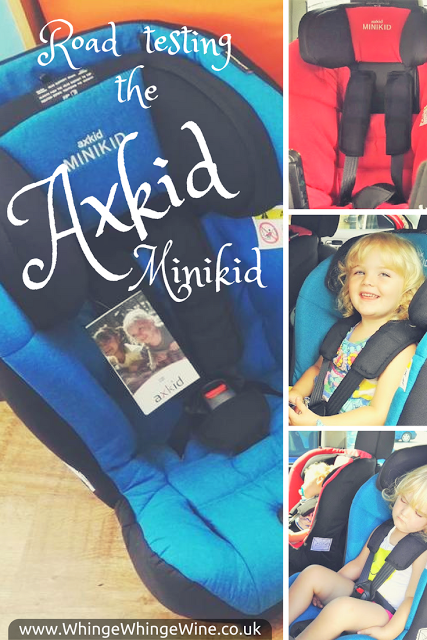 I was amazed and so pleased when Axkid agreed to send me two of their Minikid car seats to review. The seats can be used from 9kg all the way up to 25kg (that’s 7 years old give or take!) so they would do both Whingelets for many years to come. I was pretty much pee-my-pants excited. Matching seats! (I don’t get out much). They arrived and my first thoughts were ‘bloody hell these are heavy’! But when they are tasked with protecting your children, that can only be a good thing. 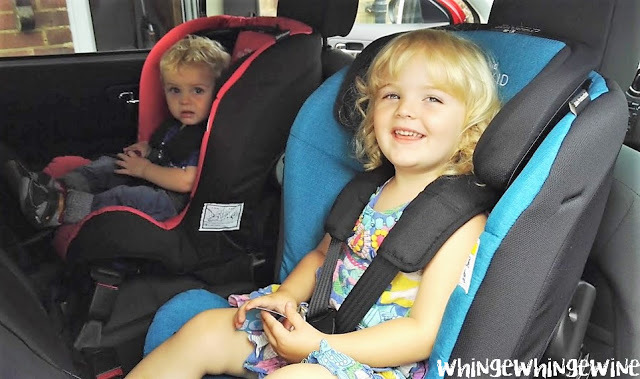 Admittedly installation wasn’t as idiotproof as our previous ISOFIX car seat, however we looked up the Securatot Youtube video which made it a LOT easier than the instruction booklet. When they were in, they were in though. They are belted in, and the tether straps mean those bad boys are not moving anywhere. As a one car family, this is absolutely fine by me. Then, of course, I had to test them. There was only one thing for it. Not the exciting, loud music with the windows down, cares thrown to the wind type of road trip, obviously. But a visit to see nanny and grandad and hour and a half away, on my own with the kids. (You can skip this bit if you’re just reading this for the verdict. If you enjoy the nail-biting tension of a traffic jam and a newly potty trained toddler, do read on). The big one was happily watching The Little Mermaid*. The small one, who one will usually sleep if the journey is well timed (and if it’s badly timed, woe betide everybody), had been up since Oh-God-No-o’clock and by the time I had packed their overnight things (seriously, HOW MUCH STUFF?) and got them, and the dog, into the car, he was aching for a nap. And so off we went, our happy little family (minus daddy who was working) down the M25. Where, almost immediately, we got stuck in traffic. It was then I realised I couldn’t remember when the big one had last done a wee. Right as we were nearing the part of the motorway with no hard shoulder, the trafficcrawling along, with our lovely brand new car seats.Maybe it would be fine, I told myself. She does have the bladder of a camel, sometimes. Other times…. Just don’t think about it. It will be fine.After half an hour or so the traffic started moving again. Oh, the blessed relief. We were going to be OK. The small one drifted back to sleep. Winner winner chicken dinner.We had come off the motorway, after passing absolutely nowhere that I could stop and take her to the toilet, and suddenly a little voice from the back piped up; “Mummy I NEED A WEEEE!”. Oh fudge. We were on a single carriageway with no stopping places. ‘Hold on darling!’ I sped up. Please don’t pee on the car seats, please don’t pee on the car seats. The gods of the new car seats were smiling on me, as ahead there was an exit. I took it and swerved perhaps a little hastily into a bus stop just in time to pull the big one out of the car so she could do a wee at the side of the road whilst an old lady tutted loudly at me. Yes, I get it, I’m a terrible parent. How very dare my not-quite-three year old do a wee at a bus stop. I very nearly had a wee next to her to make a point. Anyway… The small one woke up again, and in his usual style whinged for the rest of the journey. We made it in one piece, and then we made it home again. Since then the Whingelets have travelled another 500 miles or so in the seats; we are now ready to reach a verdict. Firstly, their safety record. Rear facing is five times safer than forward facing and these seats have passed the Swedish Plus Test. new seat when they hit 18kg. The big one is at the time of this update a chunky three and a half year old and she fits in it no problem at all. They look really smart. OK, OK. I’m shallow, but I loved the fact the came in different colours, not (sadly for her) pink as the big one wanted. We chose red and petrol but they come in denim, red, grey, petrol, green and black. They’re fairly slim so I imagine they would fit in smaller cars well. The head rest adjusts automatically when you tighten the straps, which means if for some reasons the big one decides she wants to use the red seat instead, I don’t have to fight it. It will always be in the right position. They seem comfy too; certainly no complaints from my two (and they aren’t known to suffer in silence). They have an adjustable recline on them, and have plenty of leg room; not that this matters as the big one crosses her legs anyway which is perfectly safe. As mentioned above, they are so sturdy and the side protection is great. I have seen car seats which are flimsy and the side protection is non existent. Having used these, those car seats scare me. The smaller one is at the lower end of the weight limit of 9kg and although he is obviously comfortable, once or twice he had a bit of head flop when sleeping, even in full recline, but he usually rights himself and it hasn’t happened for a while now. Installation is not as easy as with the ISOFIX car seats but this didn’t really bother me (particularly as I didn’t install it!). Obviously if you don’t have ISOFIX this is a tick in the pro column. The big one has started falling asleep in the car. Seriously this is not what I need to see at 4pm. All in all, I give the Axkid Minikid a big thumbs up. Obviously I haven’t tested them in a crash, and I hope I never have to, but I am satisfied that they will keep my kids safe as well as being comfy and attractive, and obviously that the former is my priority – and it is Axkid’s too. I received these seats free of charge for the purposes of this review. All the details included I’ve researched myself and of course, all opinions are my own. Click here for how to remove the covers on the Axkid Minikid. Click here to see our comparison of the Minikid with the Axkid Wolmax. The Axkid Minikid retails at £340 and you can buy one from Amazon here or via these retailers. *Many people who choose not to rearface say that their child gets bored and wants to face the front. I don’t really understand why looking at the back of a seat is any different to looking at the front of one, and they are still able to see outside of the window in the Axkid due to the higher position, but I do concede that children get bored on long journeys and for this reason we have a DVD player fixed to the headrest and a selection of DVDs that the big one can watch her princess films and Peppa and not whine (well, a little but not constantly). It works really well, although we lost the remote about five minutes after we got it, so if you stall the car do it at your peril because you’re going have to find somewhere to pull over and get it started again. 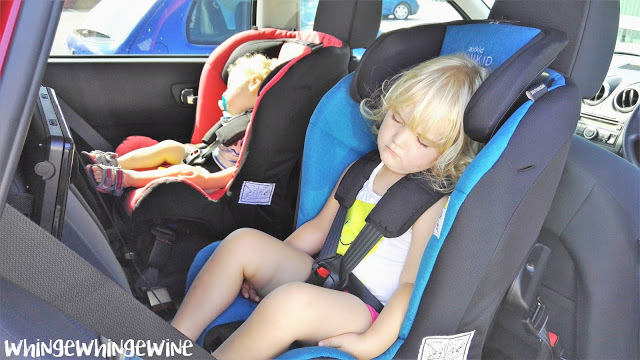 Busting myths about extended rear facing car seats as Axkid Ambassadors! 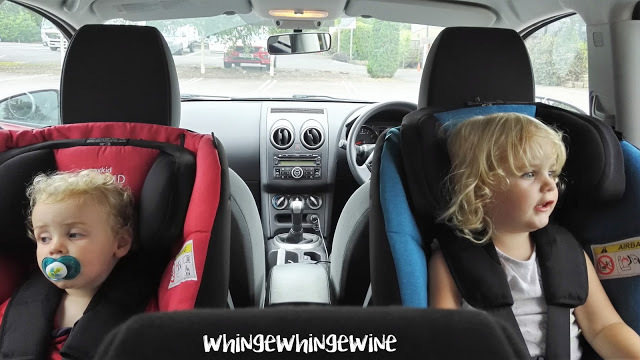 Wow, they look like such brilliant car seats! I'd love to get one, unfortunately out of my reach currently, I'll have to start a kitty for one tho as I reeeeeally want him ERF, FF scares me. Brilliant review! Hi Fran, great blog. We're thinking of getting this car seat – what car did you install it in? The seat looks solid but quite big! Hi Steve, it's in a Nissan Qashqai – my friend has the same seat in her BMW (think it's a 1 series?) and it fits in there lovely too. They are a lot slimmer than the car seats we had with isofix bases but easily as sturdy and definitely more roomy for the kids. 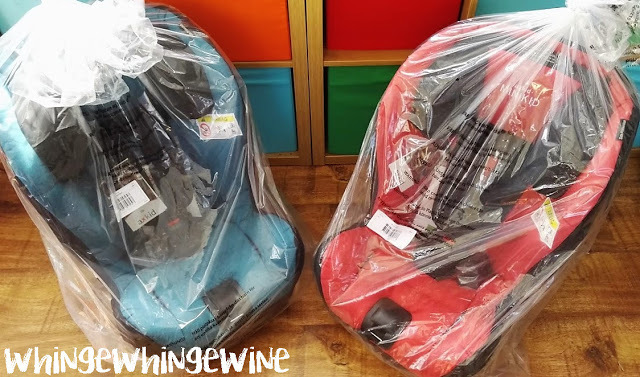 We are still using them; this wasn't just for the sake of reviewing, I genuinely love these seats and will be using them until they are outgrown! Beautiful car seats! Especially the red one is really awesome to me. I think people should buy one like the red one for their children. Car seat ensures the safety maximum time. Thank you so much. Hi, I am Dad with a 8.5 year old Son. I mainly listen to anything than come out of a Scandinavian country. They have the right philosophies about everything concernibg kids, from education to safety. Love them! I remember taking a long trip to Weymouth to collect 2 BeSafe Izi Combi seats nearly 10 years ago to go in the back of two tiny 15 year old Vauxhall Corsa cars. They were the only people who stocked any RF seats in the Uk at that time. I think they were called Snowflakes. Anyway, fantastic seats and served my boy well. I then bought the Axkid Minikid and Kidzone. Again, great seats and no complaints. Fact is, when the kids are very young, you can put them in a rearfacing bucket and strap them in, it will still be safer than any FF seat. Do not put too much emphasis on the seat, more so the direction of travel. Side and rear impacts included. I have a 2003 Volvo s60 and a Honda CRV 2003. The latter gives tons of leg room in the Kidzone and the former is perfect. You cannot budge the Minikid in the Volvo, especially as it has two anchor points for the tethers to attach to on both front seats. Solid. The boy is now 8.5 years old and just reaching the limit of his ERF seats. He is a small but perfect lad and has never complained in the seats. Tomorrow, I will buy the Britax Kidfix XP II SICT FF seat. My advise in all this? Stay rear facing for the sake of your child for as long as you can. Allow stops after 1 hour because when or if you involved in a crash, you will more likely be thinking, thank the stars I bought an ERF seat. I did my best. Cost? Well, if you have 4 kids then it was always going to be expensive. I find it hard to believe that in a two year period, funds could not be raised. Hello these car seats in this car… did you have room at front for passenger still please??? Hubby is 6 foot 3 so I want him to be able to fit in the car! We are due to buy this car tomorrow! Thanks!! Absolutely no compromise on space in driver or passenger side – no one that tall in the family but I could push my seat back a few inches at least. Hi I have a 3 door Nissan micra 2000. Do you think one if these seats would fit in it and would it leave enough keg room for a 5 ft 11 passenger. Also can these seat be purchased in Ireland in mothercare or Halford. Hi! I'd check out the website as I am not an expert or connected with the retailer. I have no idea how car seats work in three door cars. Once again you'd have to check, no idea sorry. They can be purchased on Amazon using the links above but that is all I know. 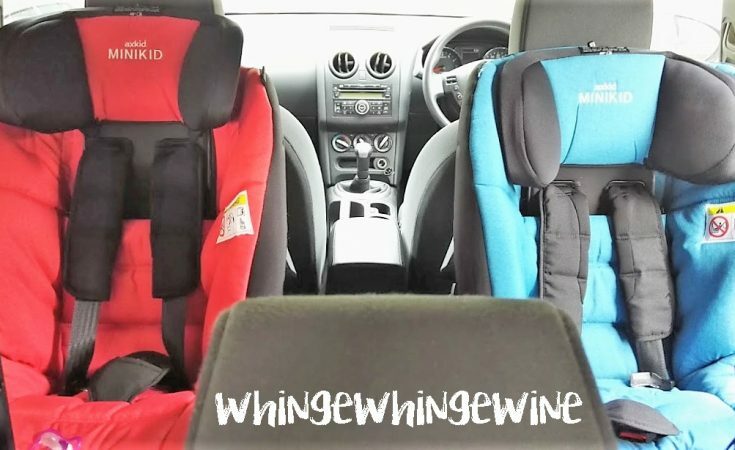 I'm not connected with Axkid or a car seat expert, just a mum! She's just over three and a half and she is still in the seat – she's a chunky, tall three and a half. Very late to the party but Tony Kealys sell them in Ireland ! hi, very late here too but what year qashqai did you install thes ein please?? Hey Fran, I read the post entirely and couldn’t help thanking you for sharing with us this piece of informative resource. Could you please explain the Best infant car seat a little more, so I can enhance the knowledge base of our community website. Of course, you can do it in another post! Any effort appreciated!